Although many educators speak about Global Understanding there does not seem to be one good definition of Global Understanding. We asked a select group of geography educators from all over the world to help us to get the concept of global understanding more clear. They give us insight in their ideas about the concept of global understanding, the extent to which it is important for geography education and how we should pay attention to it. We will present the first results of our survey and share our ideas about the role of modern geography teaching to improve Global Understanding. We will do this from our (Dutch) experiences in the past fifteen years studying and promoting a global dimension in geography education. Moreover some critical notes about the new International Charter on Geographical Education and IYGU will be included. This presentation will share experiences from “Geo for All” initiative on the importance of having open principles in education for empowering communities worldwide . Central to “Geo for All” mission is the belief that knowledge is a public good and Open Principles in Education will provide great opportunities for everyone. Though the members of our community hail from many different backgrounds, we all seek to eliminate the digital divide and empower all as full citizens and contribute to building up Open Knowledge for the benefit of the whole society . By combining the potential of free and open software, open data, open standards, open access to research publications, open education resources in Geospatial education and research will enable the creation of sustainable innovation ecosystem . This is key for widening education opportunities, accelerating new discoveries and helping solving global cross disciplinary societal challenges from Climate change mitigation to sustainable cities. 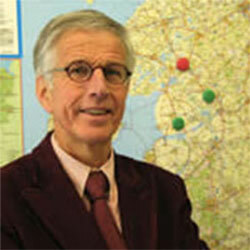 Joop van der Schee is emeritus professor for Geography Education at Vrije Universiteit Amsterdam, the Netherlands. 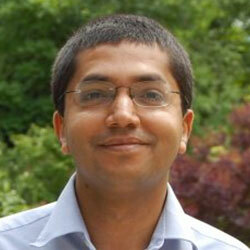 He worked as geography teacher, teacher trainer and researcher in geography education. From 2007-2016 he was special professor for Geography Education at Vrije Universiteit Amsterdam, the Netherlands on behalf of the Royal Dutch Geography Society. From 2013-2016 he was professor for Geography Education at Utrecht University, the Netherlands. From 1996-2012 he was co-chair of the International Geography Olympiad and from 2012-2016 co-chair of the Commission on Geographical Education of the IGU. 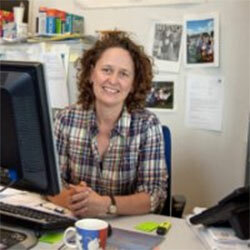 Tine Béneker is associate professor in Geography & Education at Utrecht University, the Netherlands. She teaches in bachelor and master programmes in human geography and in geography teacher education courses. Her research interests include the global and future dimensions in geography education, young people’s geographies and the relationship between the academic discipline and the school subject. Related to this she also is involved in educational design projects, for example on diversity in cities (https://www.urbandivercities.eu/) and on tipping points in climate change (https://www.tippingpointahead.nl/). Suchith Anand founded GeoForAll with a vision to make geospatial education and opportunities accessible to all and to enable a better future for everyone. He is leading open geospatial science through the establishment of Open Source Geospatial Labs/Research Centres in key universities worldwide as part of the GeoForAll.